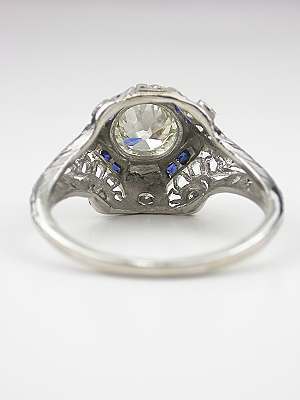 An antique ring from the Edwardian jewelry period has an elaborate platinum filigree mounting set with an old European cut diamond. 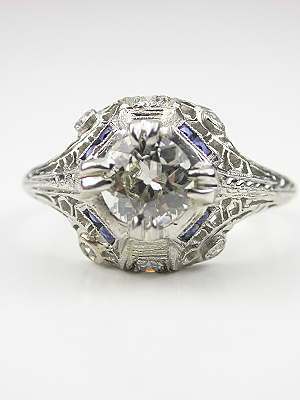 With a color of L, a clarity of VS1, and weighing 0.78 carats, this old European cut diamond is GIA certified. 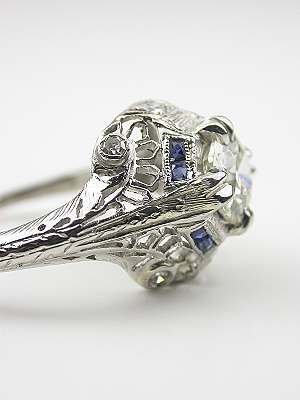 French cut blue sapphires and single cut diamonds dance amidst the filigree. 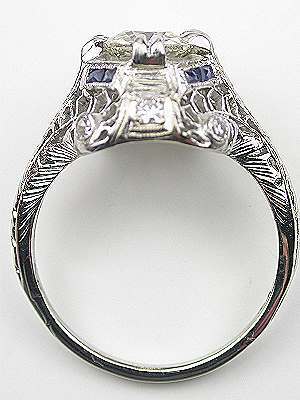 This delightful mix of blue and white adds interest to the mounting of this romantic Edwardian ring. Circa 1920. 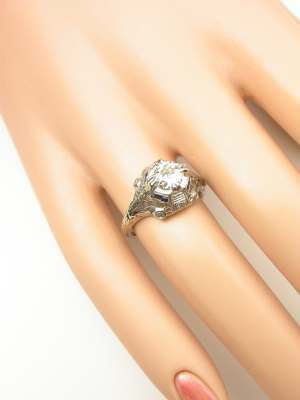 Special characteristics This late Edwardian antique engagement ring features an old Euoprean cut diamond set with 4 double prongs. 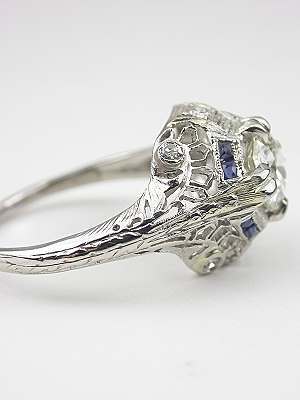 French cut synthetic sapphires and single cut diamonds accent the elaborate platinum filigree mounting. 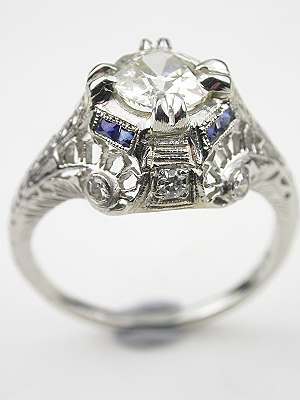 Appraisal Your purchase includes GIA Diamond Dossier report# 6137086762.